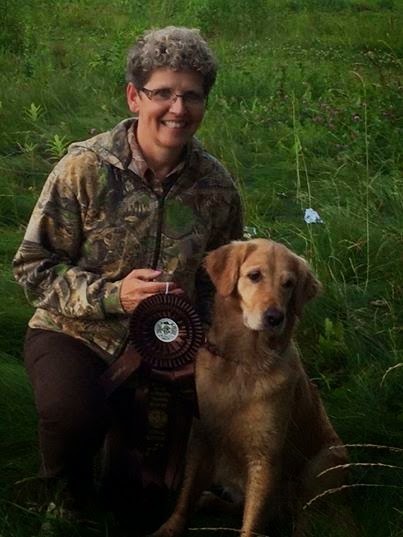 Congratulations to Wendy Hunter and Reba on earning their WCI at Mountain Valley's test earlier this month. Reba is a Rowan and Leia puppy (and mommy to our Shannon). Nice to see her out and about and doing her thing after her winter babies! Congratulations to Wendy and Reba! What a great photo! Asher says Way to GO SIS!!!!! Congrats to you!